If necessity is the “mother of invention,” it’s fair to say that war is the granddaddy of armament invention. The weapons described below are only a handful of examples of that. Right after World War II, one manufacturer in particular became dominant in the field of weaponry. 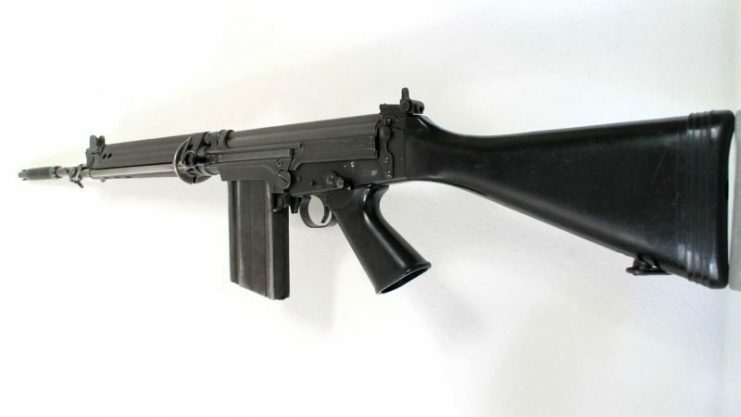 Belgian Fabrique Nationale (BN) introduced the Fusil Automatic Leger (FAL), a gun first developed while the war was still raging, but not actually manufactured until the late 1940s and 1950s. Its design was influenced by the German STG 44, the original assault rifle. The FAL’s design had fast fire as its premiere feature and short range, rather than the far range of earlier guns. FALs had 20-round magazines that could be removed and a loading mechanism that let soldiers fire as many as 40 rounds every minute. The FAL was known for its top-notch construction, and though BN eventually shifted to mass manufacturing, that didn’t affect the FAL’s quality. 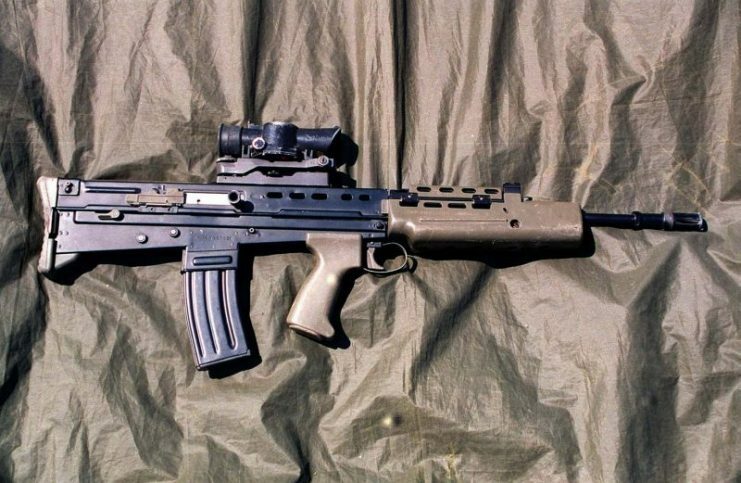 STG-58 With DSA Type 1 Receiver. 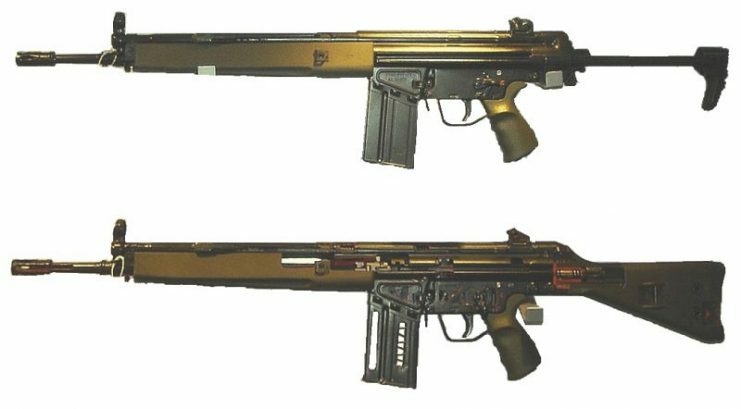 A few decades later, the German arms manufacturer Heckler & Koch brought the G3 to market for the German Army. Wherever possible, steel was used when making it. A variety of G3s were made, including machine guns and sniper rifles. The assault rifle version could fire at a very rapid pace: 500-600 rounds every minute. 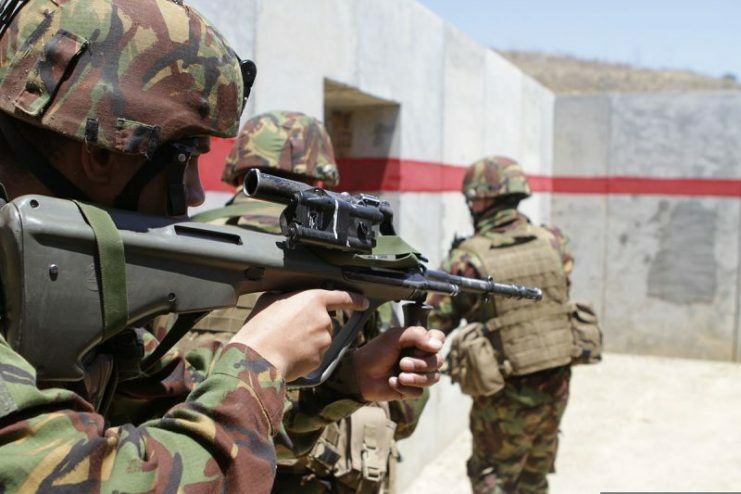 The Israeli military is renowned for excellent weapons, and the Galil is no exception. Made by Israeli Military Industries Inc., it had a design influenced by both the West and the East. For example, its operating system was not dissimilar to that of the Soviet AK-47. 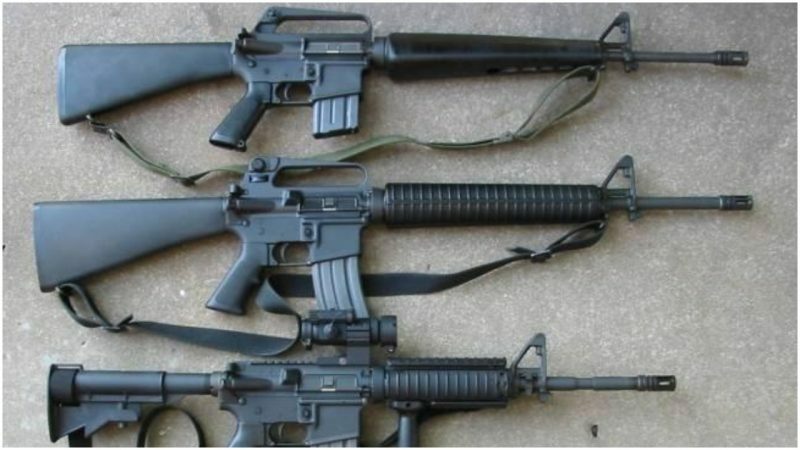 It came in three different variations, each designed for a distinct purpose: a multi-purpose assault rifle; a short assault rifle, and a standard assault rifle. The Israeli Army used the Galil in many circumstances. The Galil so impressed other nations that its design was borrowed by other armies, including Sweden’s. It was also manufactured in South Africa. The AK-47 just might be the best known gun in the entire world, at least since World War II. At the climax of Sylvester Stallone’s movie Rambo, his army veteran character wreaks havoc on a small town with an AK-47, blowing up gas stations and other buildings. 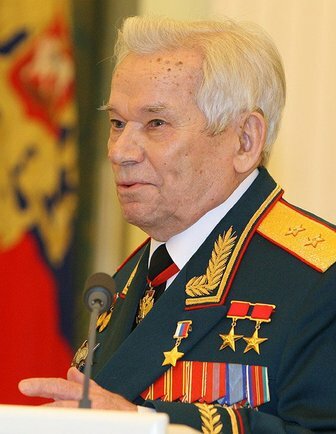 This gun was designed by Mikhail Kalashnikov, and it’s not a stretch to say it is the most recognized, most widely used weapon in use today. Calling the AK 47 “just a gun” is a little like calling the Grand Canyon a ditch – a wild understatement. Although first brought to market in 1946, it took time for the AK-47 to gain a huge following. It has a rather simple design, in that it’s a “meat and potatoes” style of weapon intended to handle the ruggedness of infantry training and fighting in virtually any climate. Originally the AK-47 had a magazine with 30 rounds, but it has since been altered and adapted for many different capabilities since its introduction. Other widely used weapons developed since WWII include the Steyr Aug, an Austrian gun that became known for its transparent magazine. This feature allowed soldiers to see exactly how much firepower they had left – an asset on any battlefield. 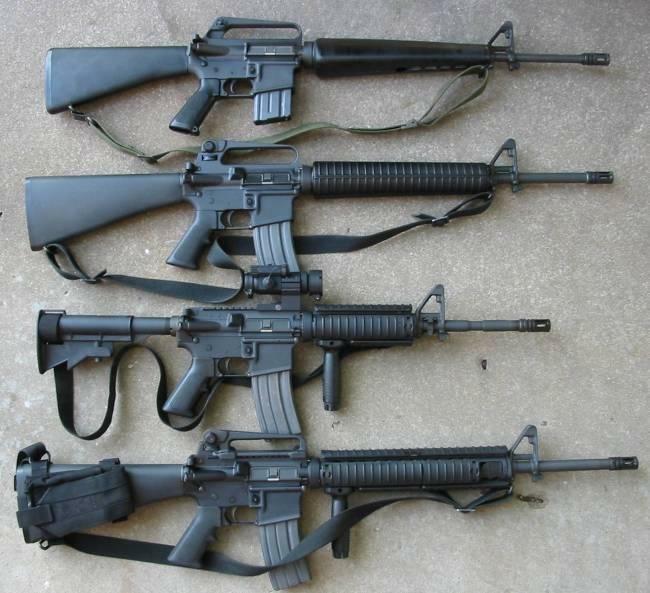 Australian’s F88 version of the AUG.
America’s contribution was the M16, which first came out in 1961 and became the U.S. Army’s standard issue weapon. Prized for its rotary locking device, it’s been adopted by many other nations. Developed from Eugene Stoner’s AR-15 design, the M16 used “fireball” rounds, a sign of the changing times in weapons manufacture. Eventually, other varieties were made that allowed a grenade launcher to be attached. 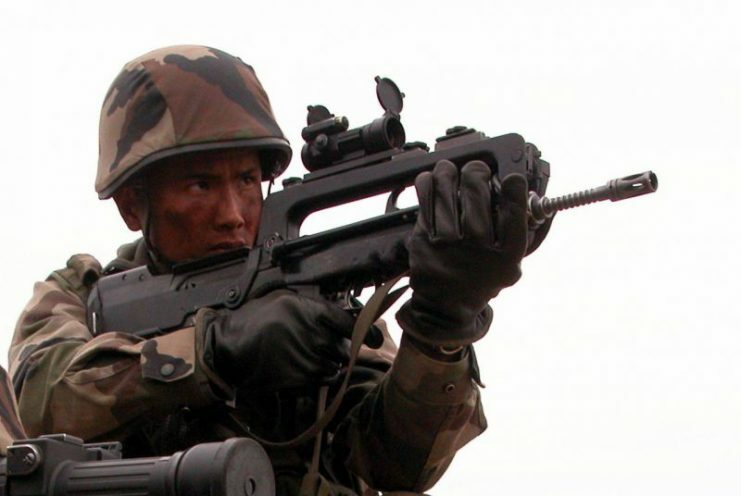 Like its Austrian relative, the Aug, the French FAMA gun was easy to carry and adaptable for mass manufacturing. It, therefore, became a widely used gun, very distinct in design and easy to recognize. In 1985 the British offered the L85 Endeavour, a “bull pup” gun with a 30-round magazine. But the L85 had a major problem: when fired, the gun had to be held close to one’s cheek, you are going to get injured. Read another story from us: Why did Congress Withhold 20% of Funds for Marines’ New Rifle? No matter how many guns are created with an innumerable number of innovations, there will always be a demand for more weapons with better, faster features. The goal for any infantry is to outdo the enemy, and that is done with one thing: weapons.